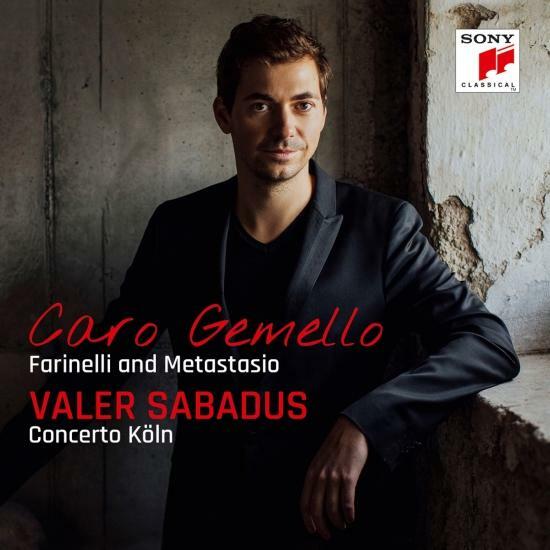 With "Caro Gemello" - their first joint album - countertenor Valer Sabadus and Concerto Köln celebrate the friendship between the castrato Farinelli and librettist Pietro Metastasio The castrato Farinelli and librettist Metastasio were two of the most outstanding musical figures of the 18th century. What few people know is that they shared a strong friendship all their lives. In the correspondence they carried on for many years, they always began each letter with "caro gemello" ("Dear twin brother") - a sign of their close artistic relationship. This relationship is commemorated by the internationally celebrated countertenor Valer Sabadus and Early Music specialists Concerto Koln in their latest release, "Caro Gemello". 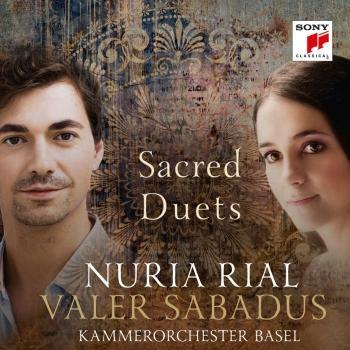 The award-winning musicians recorded technically brilliant as well as lyric operatic arias by Italian Baroque composers such as Nicola Conforto and Antonio Caldara and the German Johann Adolf Hasse. Among the works in which Farinelli performed so superbly and for which Metastasio supplied the libretto are vocal works by Farinelli's teacher Nicola Porpora. One of the highlights from the operas by Porpora is an aria from the serenata Angelica e Medoro, which marked the beginning of the friendship between Farinelli and Metastasio. As an up-and-coming librettist, Metastasio was commissioned to provide the text for this work in 1720. The 15-year-old Farinelli celebrated his stage debut in the role of the shepherd Tirsi in this work. After this successful start, it was not long before the two became the greatest librettist and singer of their generation. Although Farinelli stopped singing on stage at the age of 32 in order to work for the Spanish court as a theater manager, a flourishing operatic scene evolved in Madrid, allowing Farinelli to collaborate closely with his friend Metastasio. 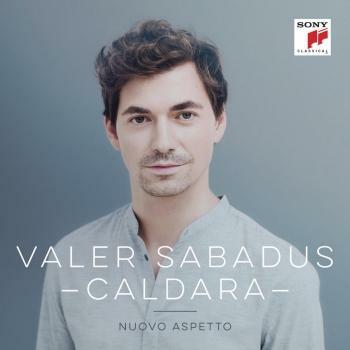 Countertenor Valer Sabadus and Concerto Koln also call this Spanish period to mind with excerpts from two operas by Nicola Conforto: Ezio and La Nitetti, which were composed on the initiative of Farinelli. In 1782 a 15-year friendship finally came to an end. In that year Carlo Broschi alias Farinelli and Metastasio died shortly after each other. Just before his death, the librettist wrote in a letter: "Oh! How much more I would like to share! (...) I hug you, enchanting Carlucciello (little Carlo), and I, your ever identical twin, assure you of my brotherly tenderness."